What a way to start off the new year! 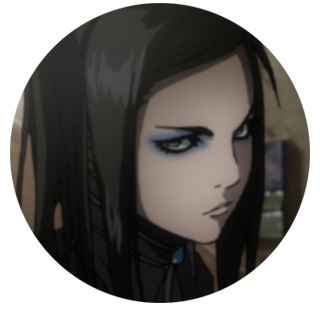 Ergo Proxy is a blast in every way imaginable. A cyberpunk suspense thriller with a unique storyline that will leave you hanging off the edge of your seat, it's also a mind-blower visually. 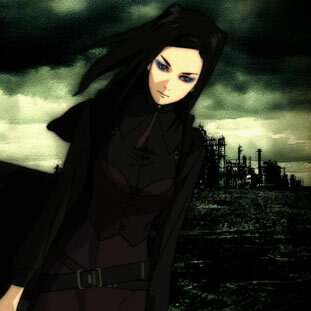 A stunning blend of 2D digital cel-animation, 3D computer graphics, and special digital effects, Ergo Proxy looks like nothing that has come before (with the possible exception of Blood - The Last Vampire). 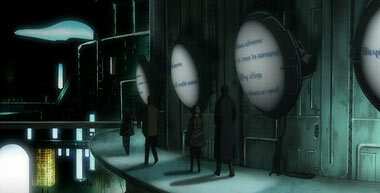 In a world where humans and androids (known as autoraves), live in relative peace, there exists a domed city named "Romdeau", a paradise where feelings are literally discarded, and the governing council dictates the way of life the citizens should live. 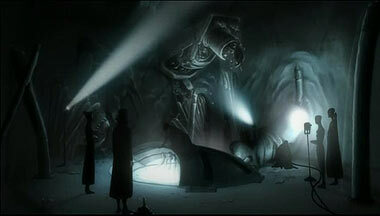 But this utopian landscape is soon broken by a series of mystifying murders. 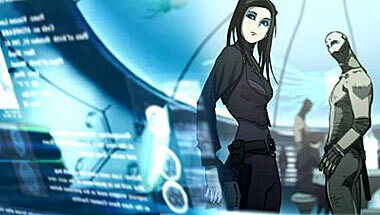 Real Mayar, a female inspector from the Citizen Information Bureau, along with her autorave partner Iggy, are tasked to solve the murder cases. 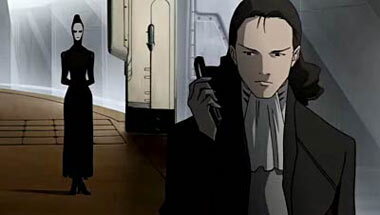 She is soon attacked by a creature drawn to her which is neither human nor android, and learns about the mysterious phenomena called "Awakening", an event which draws her further into the case...and to the world beyond the limits of Romdeau. The plot calls into question how a being determines that it is sentient. "I think, therefore I am" is a re-orccuring theme in the best of Sci-Fi, from Blade Runner to the new BattleStar Galactica, and this series takes that philosophical question and runs with it in a way that may surprise most viewers. 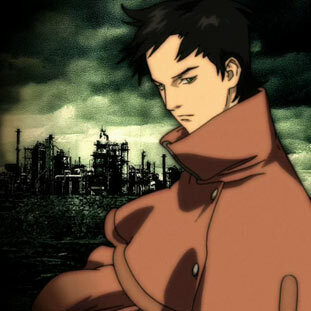 We love the run-down, industrial, noir-ish look to the series, and the fantastic level of detail prevalent in nearly every shot. The use of camera focus and depth-of-field enhances the visual feel and adds to the cinematic quality of the overall production. In short, it's a hoot and we're quite taken with the new direction anime is going. 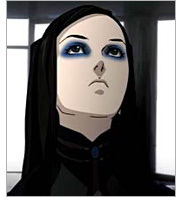 If Japan continues to produce anime on this level, then we'll be watching for a long, long time. Get this series and never look back. 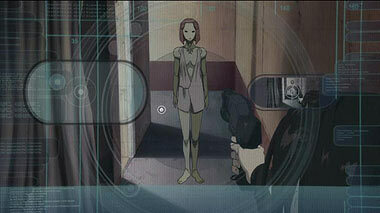 Below: Scenes from Ergo Proxy.